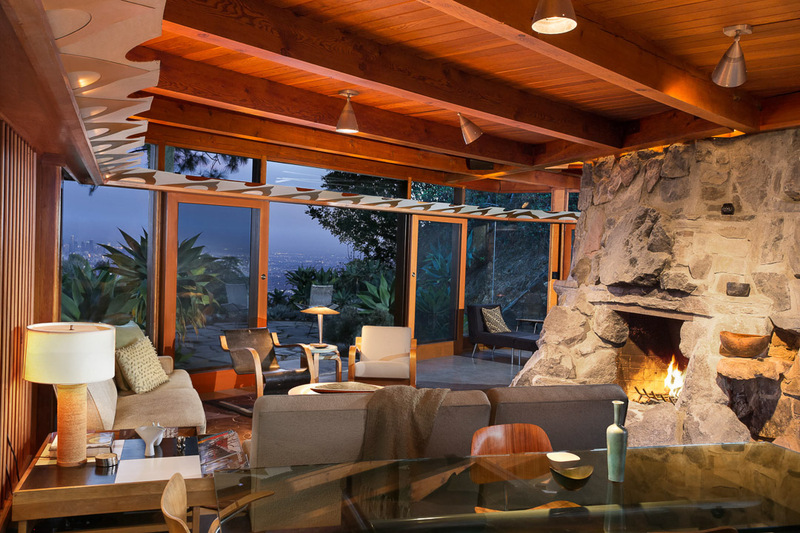 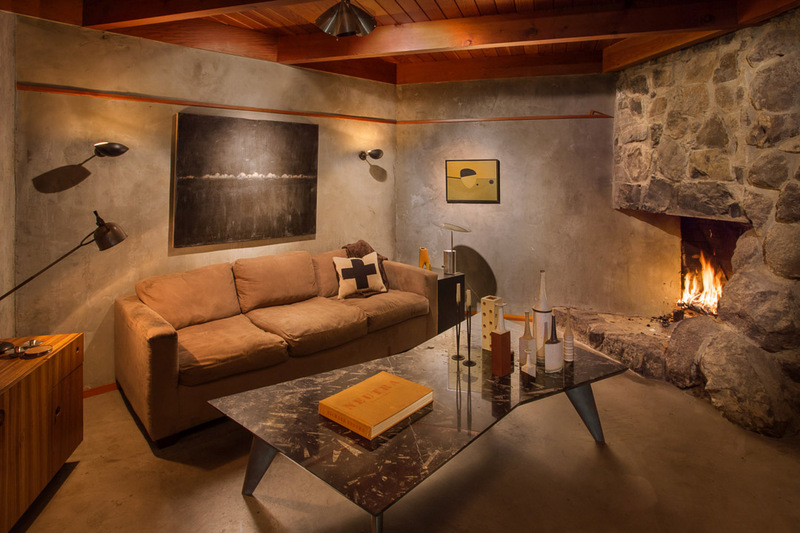 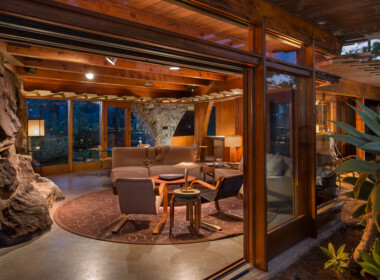 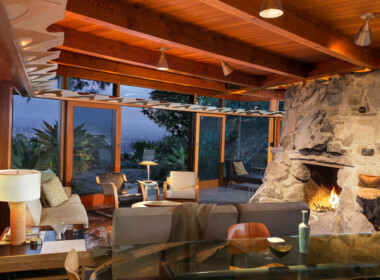 The De Jonghe Residence, 1949 – Crosby Doe Associates, Inc.
Live with nature in organic architecture! 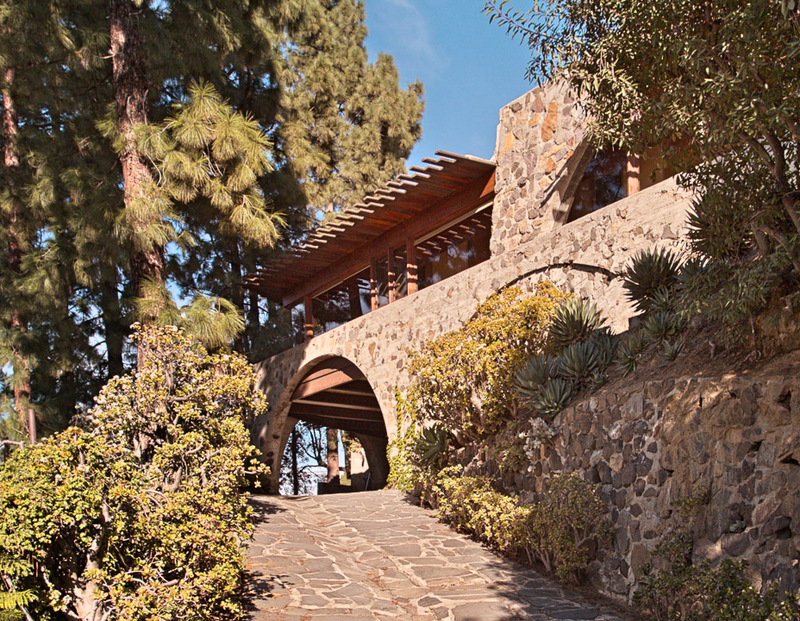 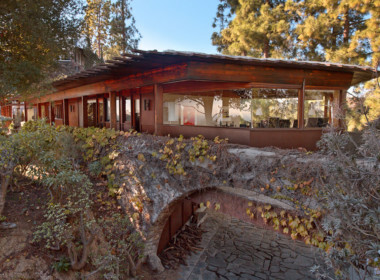 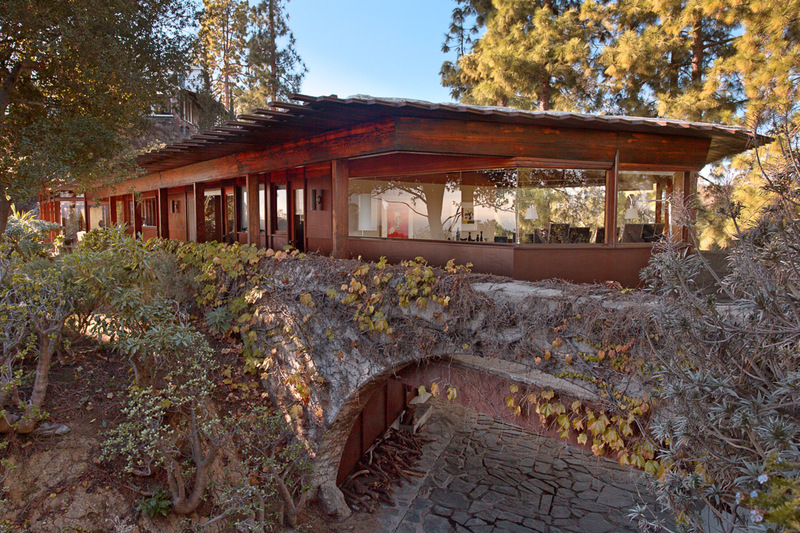 The De Jonghe Residence, 1949 by Lloyd Wright, with enhancements by architect John Powell. 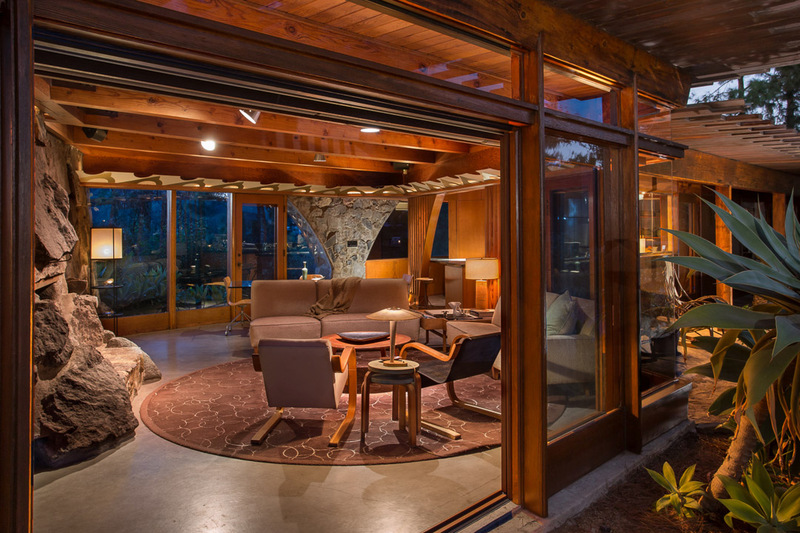 Constructed like Taliesin West of stone, concrete, wood and glass, the residence is seemingly grown out of its gated ridge-top. 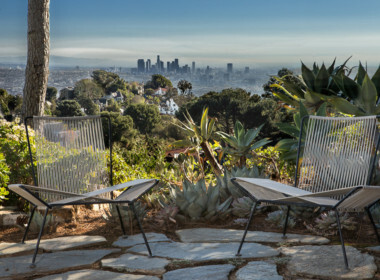 Sited for panoramic views, the occupants live within nature while enjoying city, ocean and mountain views. 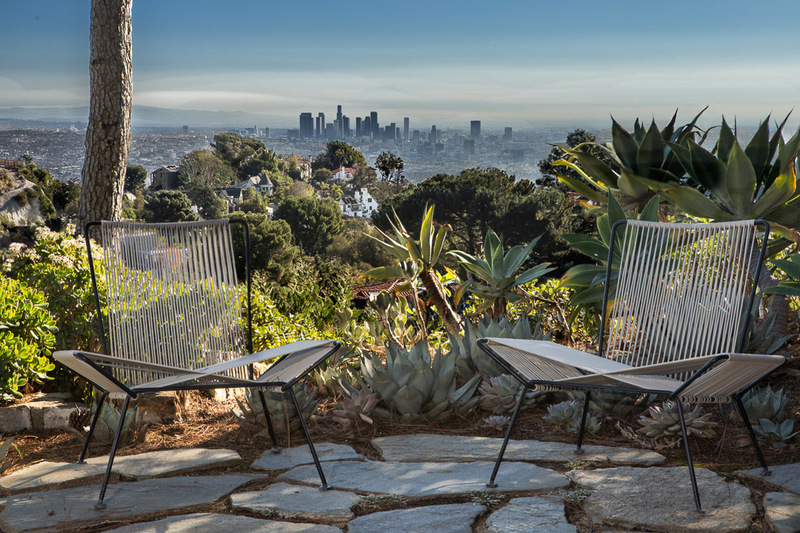 Extensive outdoor decking flows seamlessly from the living and kitchen areas inviting indoor-outdoor living. 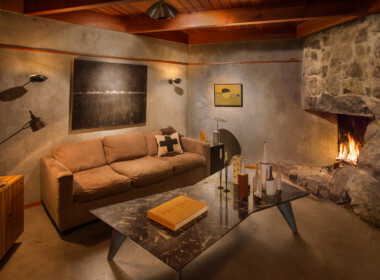 There is a private separate office below the living quarters and which has a built-in desk, cabinet and shelves.